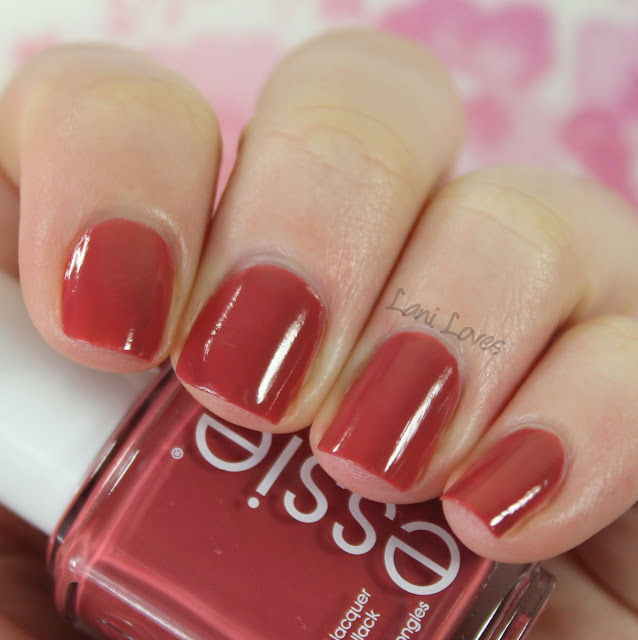 Essie have been a favoured brand in my nail polish Helmers for a long time now, so I was super excited when they recently launched a new top coat, Gel Setter. Taking a cue from the rising popularity of gel manicures, with their ultra glossy finish and long wear time, Gel Setter is supposed to give double the wear and double the shine of a regular mani. Now, any of my nail polish buddies can tell you I've been pretty devoted to Glisten & Glow's HK Girl top coat for a few years now, so dipping my brush into another top coat felt pretty akin to starting an affair! Gel Setter accompanied me on several swatching sessions while we got to know another before we took the plunge and embarked on a pedicure. I didn't feel it really extended the wear of my pedicure, but the shine - whoa mama, the shine. It's been a month and said pedicure and is now ridiculously grown out and chipped but it's still shiny. 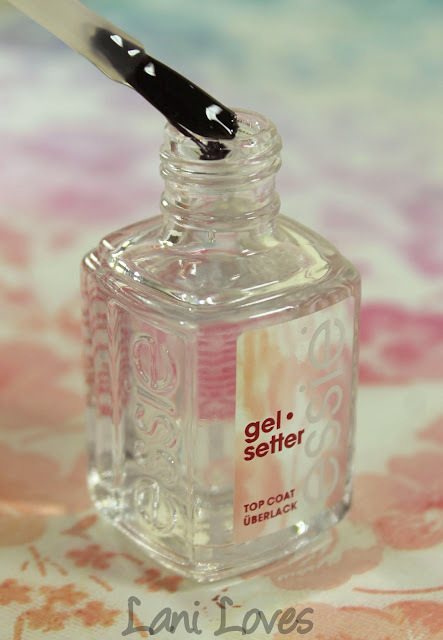 No more dulled polish after a few days wear, Gel Setter has your back (or rather, your appendages). Gel Setter certainly delivers the look of a gel manicure, promising a 'thick, plush coating'. 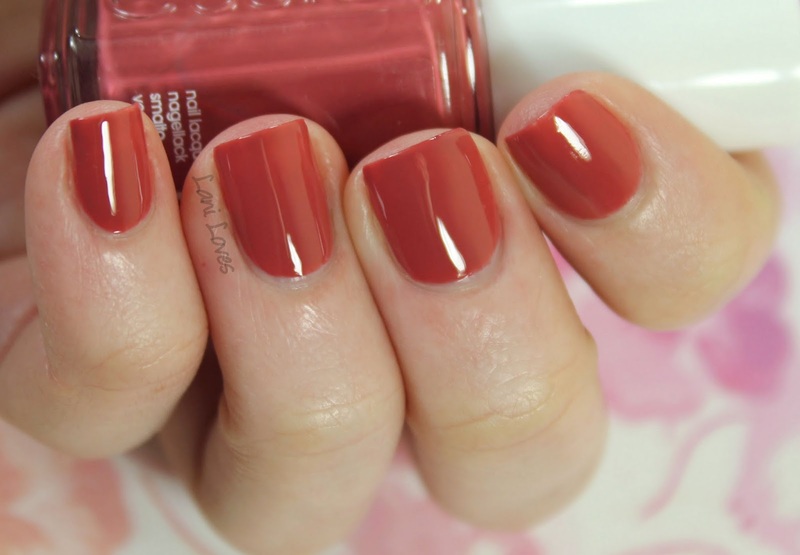 I love how glossy and cushy it looks; it is thick, but doesn't feel that way on the nail. The downside to the thickness is that I'm getting through my bottle much quicker than I usually would, I'm at about 7/8ths full after a month and a half of use. I conducted my very scientific drying test of buckling my youngest child into his car seat for the kindy run (seriously, car seats and wiggly toddlers are death to drying manicures) five minutes after applying top coat and was very impressed that Gel Setter passed with flying colours. I tapped at my nails and even pressed on them after the Patinator was secured and it was good as gold. Gel Setter is available now at Farmers and selected pharmacies with a RRP of $24.99. Will you be taking it for a spin? What's your favourite top coat?